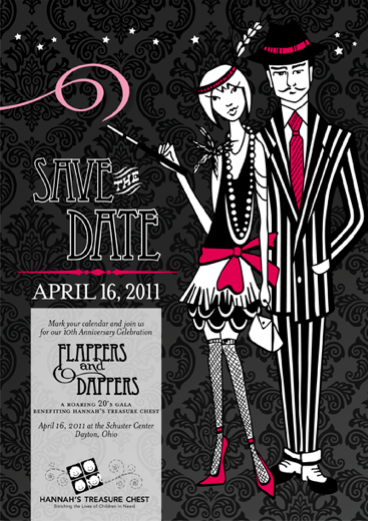 DAYTON, OH – Hannah’s Treasure Chest is seeking sponsors and donors for their annual fund-raising gala, to be held at 6 PM April 16 at the Schuster Center. 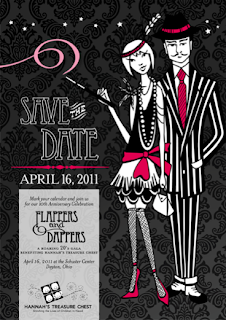 This year’s event is titled Flappers and Dappers: a Roaring 20s Gala Benefiting Hannah’s Treasure Chest. The gala is the primary source of annual operating funds for the children’s charity, which provides the necessities for Miami Valley children living in poverty. All funds raised support programs such as Blankets and Bears, Brighter Smiles and Start Off Right, as well as clothing, books, toys, car seats and other basic needs. Sponsorship opportunities for the event are attached. Donors of goods and services are also needed for the live and silent auctions. Hannah’s Treasure Chest, a respected children’s charity in Centerville, OH, responds to the needs of children in the Miami Valley by providing clothing, books, toys and other essential items through partner agencies in four counties. Additional programs include dental kits, Beds for Babies, Giving Angels, and Start Off Right. For over 10 years, Hannah’s Treasure Chest has maintained a warehouse of donated clothing, infant/toddler equipment and other items to respond quickly to client requests. When a partner agency identifies a child in need, Hannah’s we provides essential items to the agency, which in turn delivers them to the child. 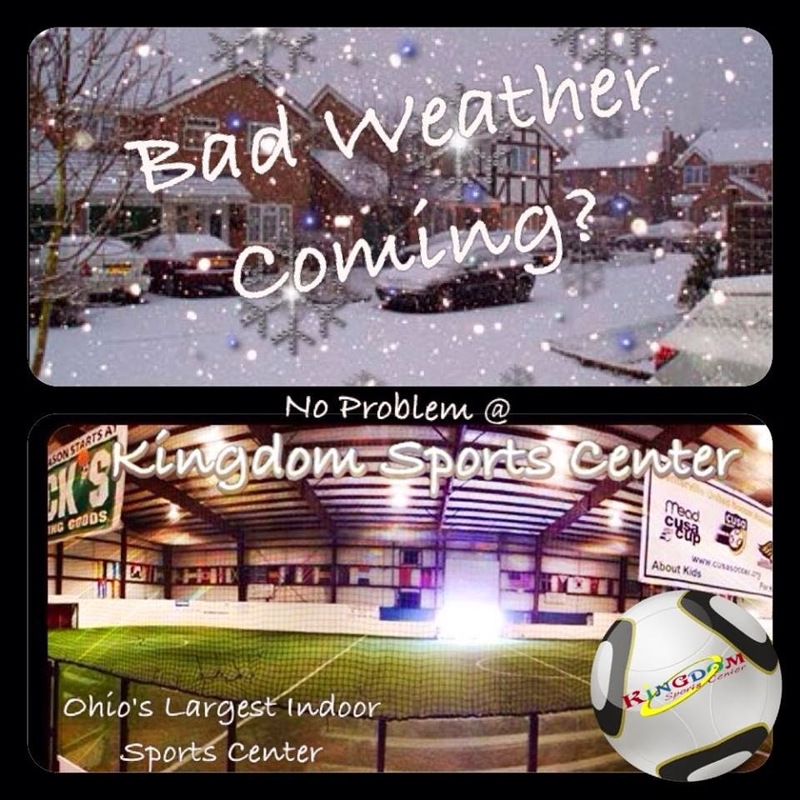 We pride ourselves our fiscal responsibility, which allows us to provide $9 in goods and services for every $1 donated. For more information, please visit our website at: www.hannahstreasure.org.